Back in the summer of 2001 my family (just three, back then) moved to Beavercreek, Ohio. For those of you who are, like me, math-challenged that’s 14 years. We’d moved here for my wife’s final assignment during her 20 years of service in the USAF. At the time I was working as a customer relations manager for a small Department of Defense contactor engaged on a long-running program run out of Wright Patterson AFB. 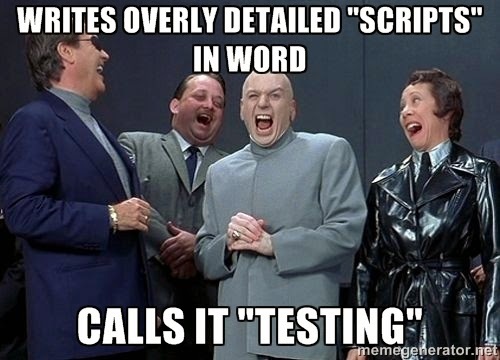 I was handling customer conversations and some project management, plus I was doing “testing” for the system we were developing. Over those 14 years my family grew to four, we put 45 cubic yards of dirt in for flower beds, well over 100 cubic yards of mulch, we added on an 800 ft2 addition for my Mother-in-Law (hold the jokes. She’s awesome. ), 1500 ft2 of laminate flooring, and 80 gallons of paint. Unlike other situations, those are accurate figures, not me exaggerating! Also along the way I managed to hook up with the amazing Heartland’s amazing developer community. Yes, I know, I wrote amazing twice. It’s that amazing. I was lucky enough to get engaged with the community here at a really interesting timeframe. In 2005 there weren’t any conferences being in the Heartland other than the occasional commercial thing like No Fluff Just Stuff. What was here was a nascent, primordial bubbling goo formed by some really smart, motivated folks who wanted to reach out to other like-minded folks. I was fortunate to hook up with people like Drew Robbins, James Avery, Brian Prince, Josh Holmes, Mike Wood, and others who were starting to get various conferences off the ground. (I’m missing lots of people off that list. Sorry.) That group exploded out and created an incredible number of community events. By 2008 you could, literally, hit a one-day conference at least once a month if you wanted to. Days of .NET, Code Camps, Give Camps, Days of Agile, and others had sprung up from Grand Rapids down through Nashville. Larger conferences like DevLink, StirTrek, KalamazooX, and of course CodeMash took off over the following years. User groups were springing up all over the place. Fast forward to 2015: the pace of Code Camps, Days of .NET, etc. has died down a bit, but larger regional conferences like StirTrek, CodeMash, etc. have exploded. User groups have gone the way of tribbles and have spun off into an insane amount of local meetups, user groups, hangouts, whatever. I stopped trying to keep track years ago. Heartland’s community is full of smart, passionate, welcoming folks who opened their arms, brains, and hearts to those interested in improving their various crafts, skillsets, and general outlook. These folks helped get me motivated to get out of the soul-crushing work I was involved with at the time. I trace a line from the awesome job I’m currently doing directly back to influences, motivations, and friendships I developed amongst Heartlanders over the years. I can also point to at least three jobs I got directly because of my involvement with the Heartland community. I once got a job offer from a Heartland homie three or four days after I reached out. When I hung my shingle out earlier this year I had seven leads on independent contracts, five writing leads, and four job interviews—within four days. Folks in this region are simply amazing. I’ve been blessed to have spent so many years here. With all that said, it’s time for me and my family to bid adieu to the Heartland. My wife and I’ve always known Dayton wasn’t even close to our “forever home.” No mountains and too far from my family. On 9 May my son, brother-in-law, and I load up a 27’ UHaul truck and minivan and head west for Ashland, Oregon. With two cats and two dogs in the minivan. Please send your prayers for what little is left of my sanity. The rest of my family will follow in stages, but we’ll be settled in our new home in early June. I can’t list out all the people I really need to thank. There are hundreds of you, maybe even thousands. Literally. Those of you who’ve suffered through assorted tech crashes during my talks, those of you who’ve patiently listened to various rants, those of you who’ve made CodeMash so awesome, those of you who’ve lent me energy and strength at various dark phases of my life. If you’re ever out in southern Oregon, please drop me a note either via mail (FrazzledDad@Gmail.com) or Twitter (@aJimHolmes). I’d love to meet up for a coffee, craft beer, or good glass of PNW vino. To all I’ve met over the years: Thank you all. You’ve given me far more than I gave.